Dropbox visits 1AM for the first time with their team! 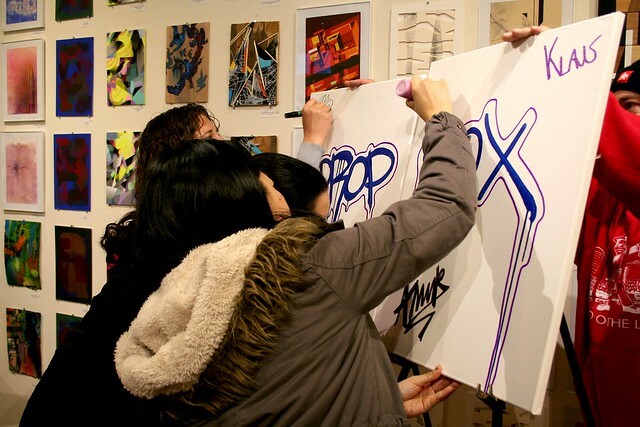 Home/Classes, Community, Mural Production, Team Building Workshops/Dropbox visits 1AM for the first time with their team! 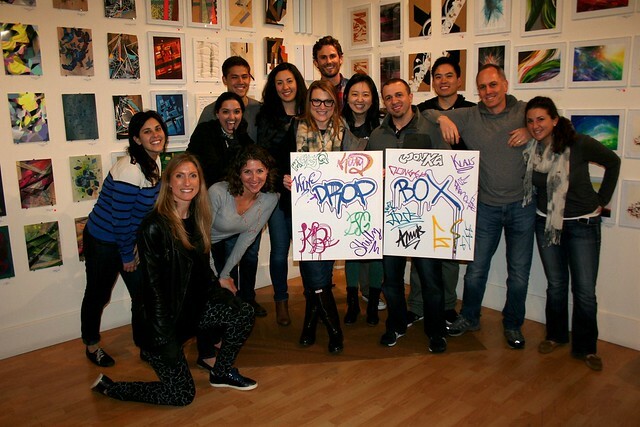 We had a great time meeting Dropbox, their team jumped right into our drawing and spray painting activities as they enjoyed pizza and drinks. They learned about the world of street art and made their own take-home mural! Email privateevents@1AMSF.com today to set up an activity-filled Happy Hour for your team.